There is something to say about finding beauty in ugliness. 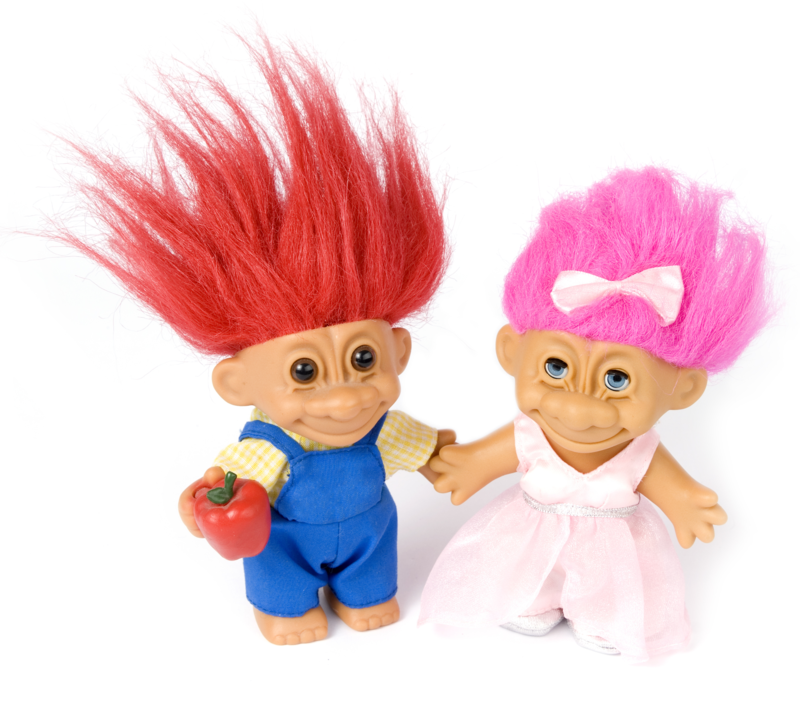 Everyone has felt ugly at one time or another, and troll dolls give people something to relate to, something that tells them it is okay to not look like a supermodel. Just one question remains. Between the two round ears and above the oversized nose, was it really necessary for the dolls to have such soulless, unblinking eyes? When a child picks up a troll doll to fix its clothes and brush its hair, is the doll looking back at them? Though it seems like it could have only existed in nightmares, this terrifying creature was a best-seller for about 25 years. When Christmas time came, nearly every child clamored for a musical hell beast of their own. Prominently featured in the most horrifying 15 seconds of Toy Story 3, this abomination took its final bow as it descended into obscurity. It now spends its days keeping rhythm in a pit of fire deep underground. This delightful little bear would love to read a bedtime story to you, and then watch as you drift to sleep. Just open up the incision in its back and put in a cassette tape. Its mouth will move in sync with the sound. There is absolutely nothing strange or questionable about this product. Nothing at all. Please carry on. What is wrong with a little, anthropomorphic doll that begs you to tickle it? Well, nothing really, so long as you have the mind of a seven-year-old. Meanwhile the adults are in the other room shaking their heads. This tickle-happy doll became so popular that it appeared on MADtv, Futurama, South Park, and the video game, Sam & Max. Meanwhile 90s kids are growing up everywhere and looking back in horror at the fuzzy, red dolls they used to tickle. At the turn of the century, we were invaded by a mysterious alien race. No one knows why they are here or what they want with us. All we know is that despite an on/off switch they always seem to find a way to come alive. Their little chirps may seem cute at first, but there is something much darker hidden beneath that fluffy, synthetic coat.